Contexts shape what happens. 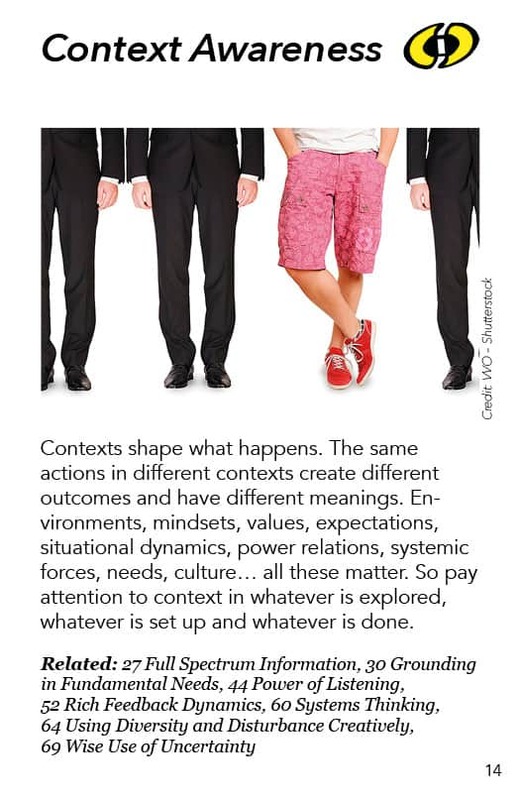 The same actions in different contexts create different outcomes and have different meanings. En- vironments, mindsets, values, expectations, situational dynamics, power relations, systemic forces, needs, culture… all these matter. So pay attention to context in whatever is explored, whatever is set up and whatever is done.